We don’t like to make sweeping generalizations. But we’re pretty confident that – chances are – if you have a Ferrari, you have a yacht too. Probably a speedboat. 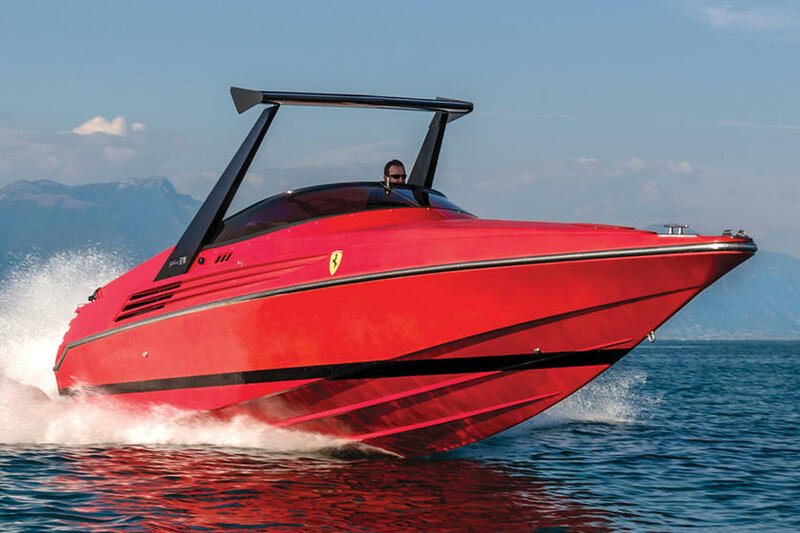 But do you have a Ferrari speedboat? If the answer is “no,” this could be your chance. 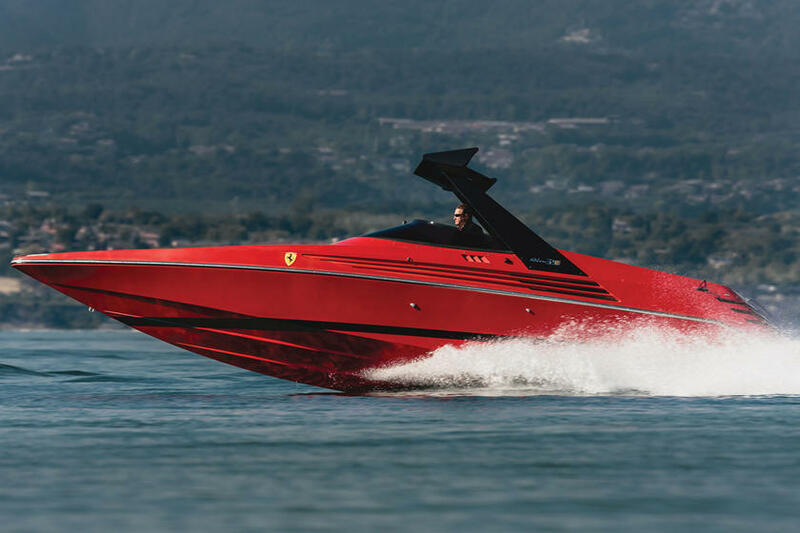 Unlike Lamborghini (which also bred a side-business making marine engines), Ferrari hasn’t typically transferred its dry-land performance expertise to the open water. That’s what makes this vessel so unique. It’s a rare 1990 Riva Ferrari 32 – one of only 40 made – and it’s coming up for auction. The Riva Ferrari 32 stemmed from a collaboration between Riva chairman Gino Gervasoni and Enzo Ferrari. It didn’t pack marinized versions of Ferrari engines, but it did have Old Man Enzo’s blessing, and was designed to emulate the lines of the road cars Maranello was producing at the time, like the Testarossa and 348. Deep in the engine bay sat not one, but two giant V8s: 8.0-liter units each more powerful than the TR’s at 390 horsepower. 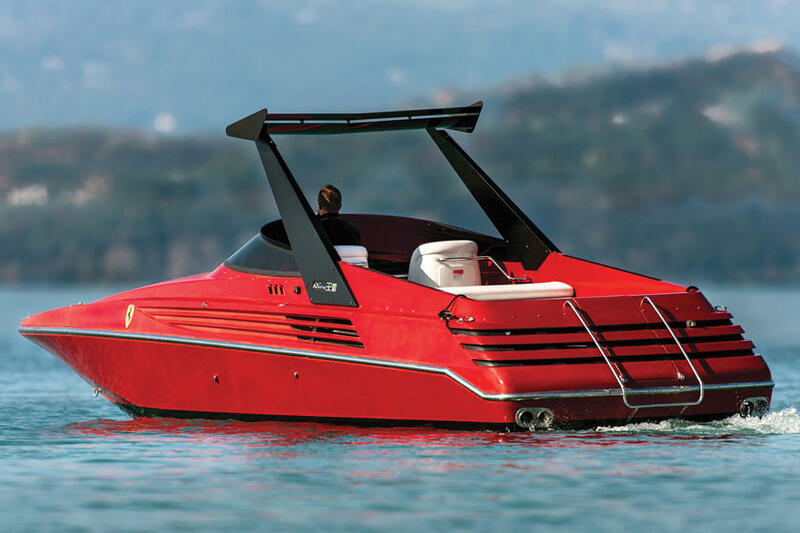 With a combined total of 780 hp, it could reach 54 knots – or 62 miles per hour.